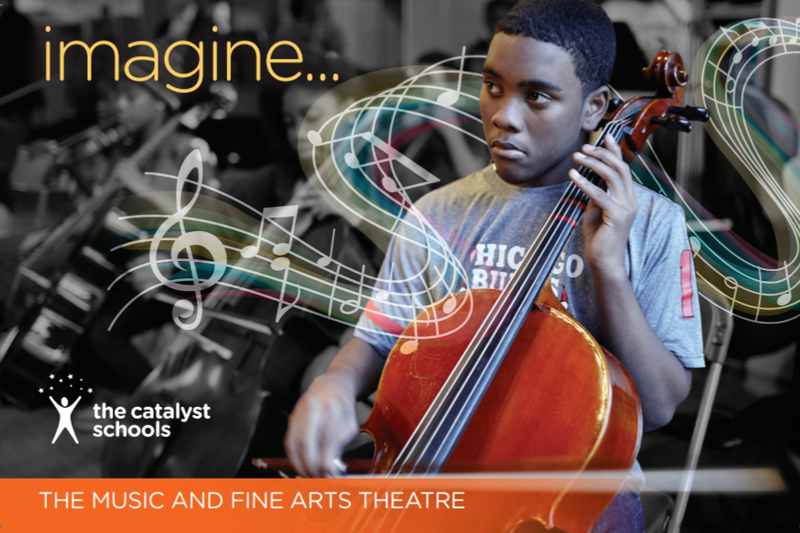 3rd Coast Imaging has been proud to partner with a number of fantastic Chicago nonprofit organizations over the years, and one of our favorites is The Catalyst Schools in the Austin community. In just 12 months, we’ve produced their annual report, multiple program books, recruitment flyers, note cards and envelopes, remittance envelopes, event invitations, plus additional materials to support their fundraising efforts for a new arts center. Now we’re excited to share that their Kehrein Center for the Arts at Catalyst Circle Rock has recently broken ground! The Center will occupy an auditorium adjacent to the school that has been unused since 1973. Eventually, the renovated space will have 1000 seats for a school and community events. It is planned for completion at the end of this year. You can check out the groundbreaking – which features signage by 3rd Coast! – in the video below. Thank you to Ed and everyone at Catalyst for this ongoing partnership!